It contains a Collection of 30 Amazing Christmas Greetings Card ( 100 in the FULL VERSION ) ready to send! 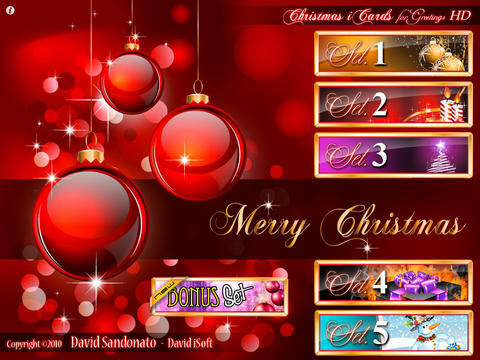 You have 6 different stunning set with 3 Greetings cards each (15 for each set in the FULL VERSION)! Be ready the 25th morning and send beautiful card to your family and friends! So many choices, totally Christmas.."